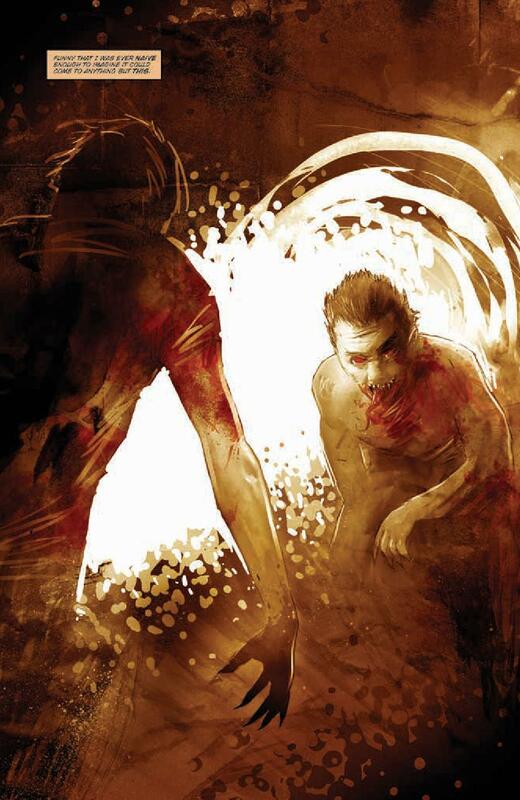 At the end of 30 Days of Night: Dark Days, having discovered the secret of the vampires’ staggering regenerative abilities, even after being burned to the finest ash, Stella returns to Barrow with the hope of resurrecting her husband Eben Olemaun. This is what happened next. IDW originally published the single issues of this arc series back in 2007, and are presenting this reprinted collection as a 100-page giant-sized issue. In the aftermath of the unforeseen consequences of her actions, Stella is making her way on her own, horrified by what she has become and desperately trying to find a way back to the person she was. When she stumbles across a mysterious vampire child that the warring vamp gangs will stop at nothing to control, she must face insurmountable odds in order to save herself, the child and her husband who, in a startlingly ill-advised move on the part of the vampires, has been recruited to hunt her down. This story arc is one that I’ve always found a bit problematic. 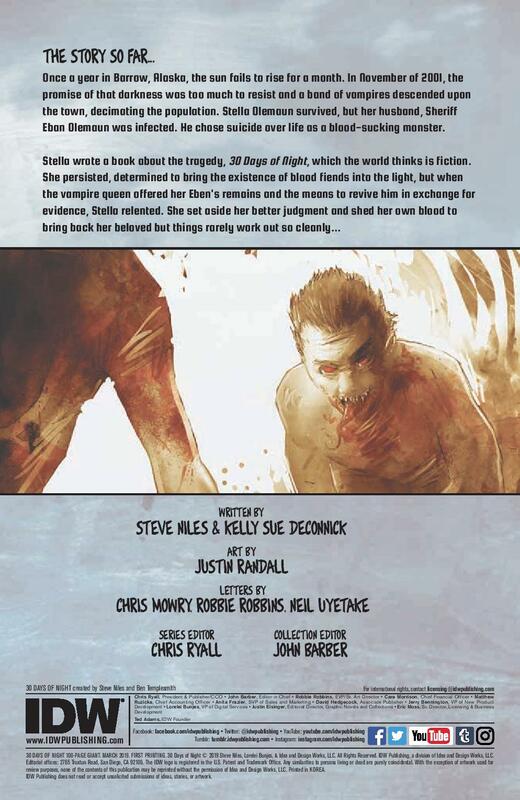 When I first read 30 Days of Night it was via the Omnibus editions, the first of which contains the stories 30 Days of Night, Dark Days and Return to Barrow. The latter of these stories is ostensibly about the new sheriff of Barrow and his search for the truth behind the death of his brother William Kitka and his family but also brings us two mysterious guardian angels that protects Barrow from the latest horror being perpetrated upon them by the Vampires. The angels, as we discover, are of course Stella and Eben Olemaun, both now vampires and both still protecting the town that was their home and the people that were their family before the events of the first book. This for me was a great way to leave the couple, and I never felt that we needed to expand on what happened to them between the end of Dark Days and Return to Barrow. As we all know however, when a series is as successful as this one has been, there will inevitably be a need to fill in some backstory, expand on a throwaway scene or something left unsaid or in the shadows. Whilst I don’t dislike this storyline – far from it, in fact, as I did find it interesting to see Stella’s development from the shock of finding herself a fledgling vampire to finding her way home to the man she loves – I’m really not convinced that we needed this as a whole series. Now before anyone gets too bent out of shape, what are the positives? Well, for a start, we get more 30 Days of Night which can only be a good thing. We also get more top-notch writing from Steve Niles and Kelly Sue DeConnick, and Justin Randall’s turn on the artwork is brilliant. 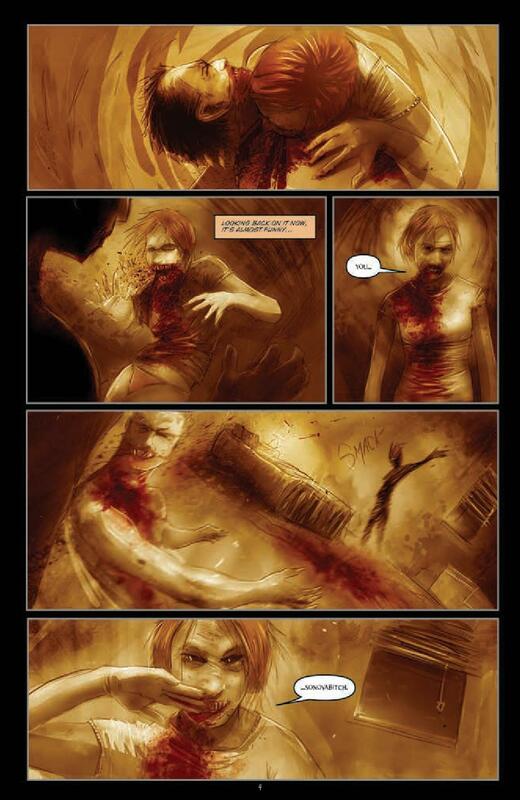 The story itself has some fantastically disturbing points and Randall manages to capture Ben Templesmith’s original concept for the look and feel of the series perfectly, while still managing to stamp his own personality on the characters. 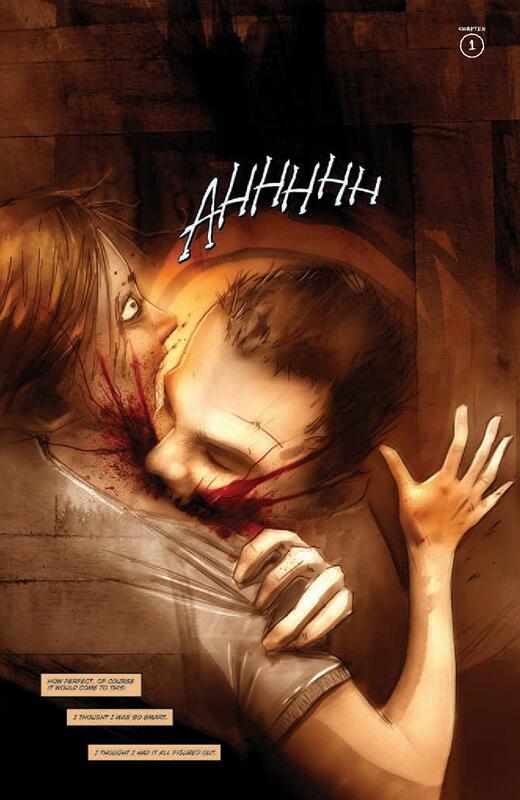 30 Days of Night remains one of my favourite horror series, and I can still remember being completely and utterly blown away by Ben Templesmith’s artwork the first time I picked it up. I even rate the film that was made of the first story arc as not only one of the best comic book adaptations of all time, but one of my favourite vampire movies of all time. 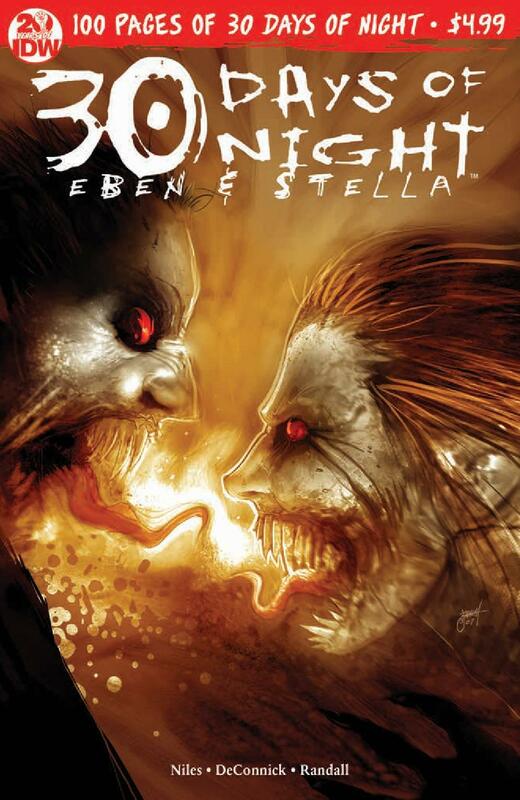 30 Days of Night: Eben & Stella features a great story, fantastic artwork and the same superb quality that I’ve come to expect from Niles. But for me, I felt it detracts a little from the punch of Return to Barrow.